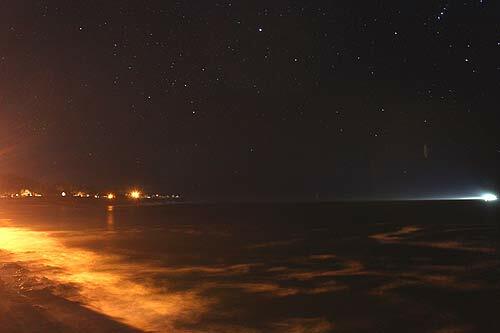 (Oregon Coast) – (UPDATE:	the OMSI Star Parties have been cancelled). 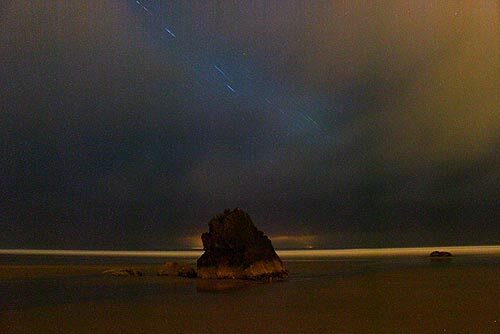 The annual Lyrid meteor shower is underway, according to OMSI astronomer Jim Todd, and much of Oregon and especially the Oregon coast should get some great views of the little fireworks. (Above: star movement above Cannon Beach). The meteor showers peak on April 22 but they’re still around until April 25. Meanwhile, OMSI was going to host two viewing parties – one in the Columbia Gorge and the other in the Oregon Coast Range. These have been cancelled. 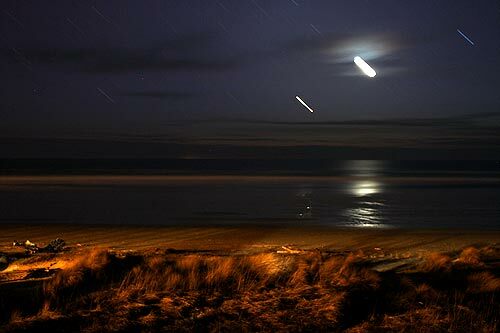 Forecasters expect a display of 10 to 20 meteors per hour over the northern hemisphere. All of this is coming from the Earth entering a stream of debris from Comet Thatcher. What that comet has in store for viewing here on Terra Firma is full of some interesting unknowns. There could be periods of intense sparkly bombardment. 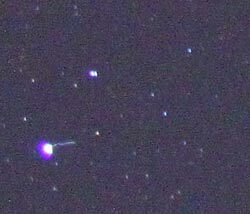 Todd said the best time to look for this is after midnight in the morning hours of April 22, before dawn. No matter where you live, this is the case, although darker skies with less light interference from city lights will be optimal. Still, even Portland may not be a bad place to look as conditions look good everywhere in northwest Oregon. 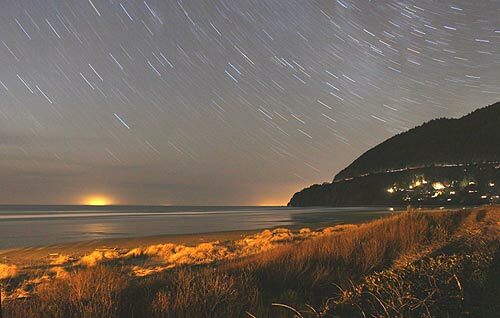 On the Oregon coast, where night skies are clearer, the forecast is for pristine skies in the middle of the night over the weekend. In fact, the weather pundits are saying the beach towns will be partly cloudy to clear all through the week. Todd said you should be able to start seeing them easily around 10 p.m. The radiant (meaning where they appear to come from) will be low in the northeast, but don’t worry about that. Todd said to keep scanning the skies all over, and in fact you may catch some better streaks that way. 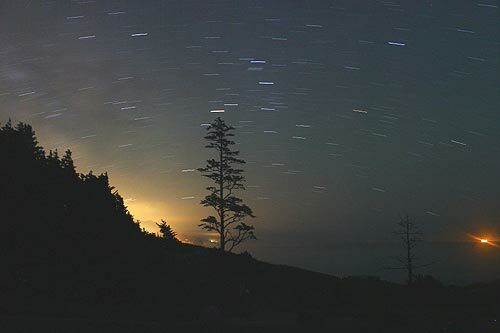 OMSI will hold two star parties on Saturday, April 21 – one at Rooster Rock State Park and Stub Stewart State Park in the Oregon Coast Range starting at sunset. It’s for beginners to experts of all ages, and it’s an opportunity to view the stars and other celestial objects up close and personal through telescopes. Also viewable will be Venus and Jupiter.